Yep, players are indeed bored due to the NBA lockout, which may be ending soon or may not be, who the hell knows. 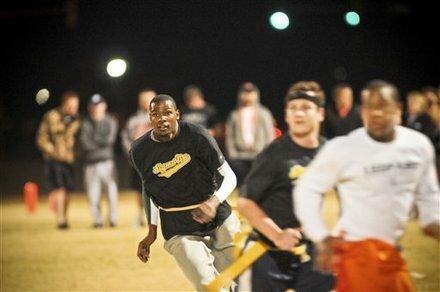 So Kevin Durant was looking for some flag football action, and hooked up with some kids holding a match and got in the mix. Let's go to the videotape. Could Houston Receive a BCS Bid?